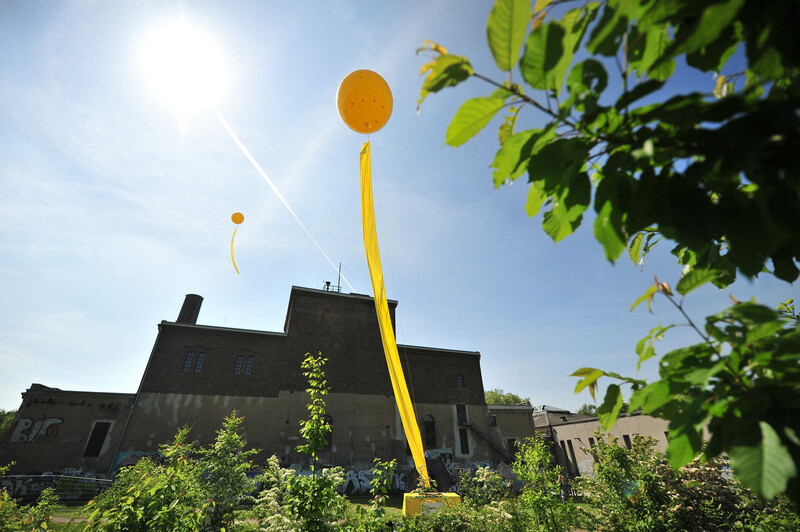 On the other hand, I would like to show another kind of project: an intervention realized in Berlin, which concept lies on the opposite pole of Little Sun. Powerhouse 2 The People is a project conceived by the creative studio Cheesecake Powerhouse. What they did was give citizens the chance to take care of a small piece of their urban furniture, installing a switch on a streetlamp and letting people free to turn it on or off as they wanted, when they wanted. We’re used to have light in our life and often we don’t give value to it, sometimes we also waste it without even realizing it. This project faces the problem of sustainable energy-consumption, hacking the frame of the city, involving citizens and encouraging them to think about how their everyday life works. A small effort for a great effective result. Keep the change and let the flowers bloom! The project has a page on kickstarter.com, where it reached and passed the initial goal of 10.000 dollars for its development. Depending from the support they received, they sent different quantities of rolls of seed money to let everyone spread the message in their city. 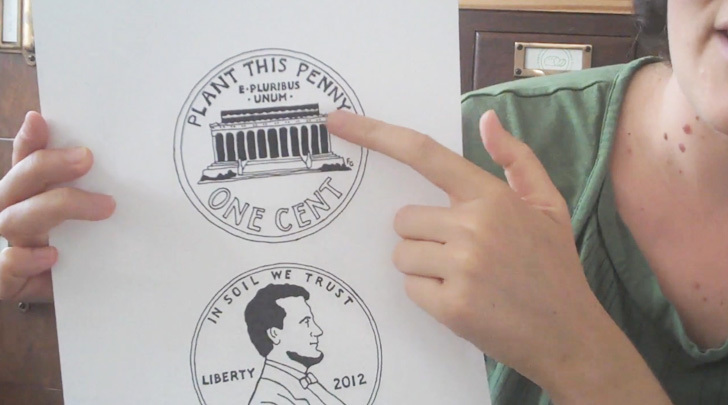 The project uses these organic coins as a medium to give people consciousness about the real value of money and, at the same time, let them the chance to make their life greener. You can order seed money here. For some strange, lucky reasons, I manage to get into the opening of the XII International Architecture Exposition of the Venice Biennale 2010. Outside shiny models and drawings, in between the non-architectonical offer (which remains the most friendly to me), I got impressed by the nice work presented by the serbian pavilion, which possessed a special, playful ability, to involve people in its game. 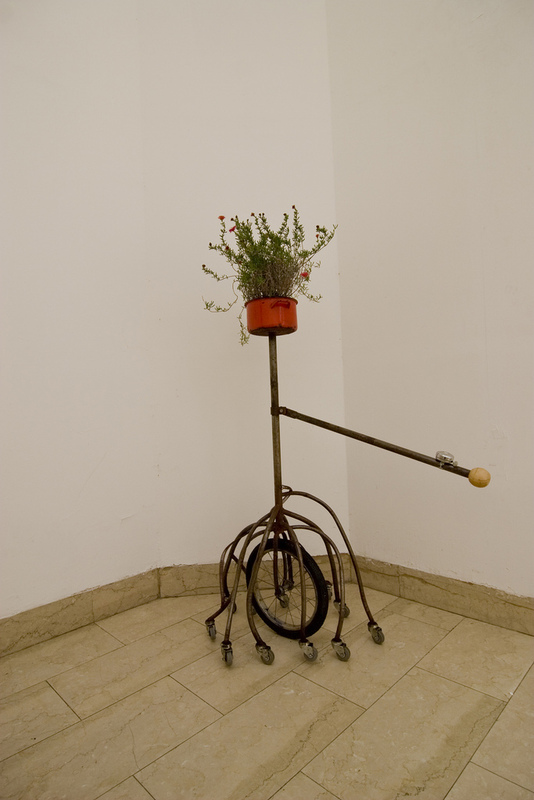 Under the direction of the curator Jovan Mitrović, pavillion of Serbia shows two different installations, ideas of the collective Škart, born in 1990 at the Faculty of Architecture in Belgrade. 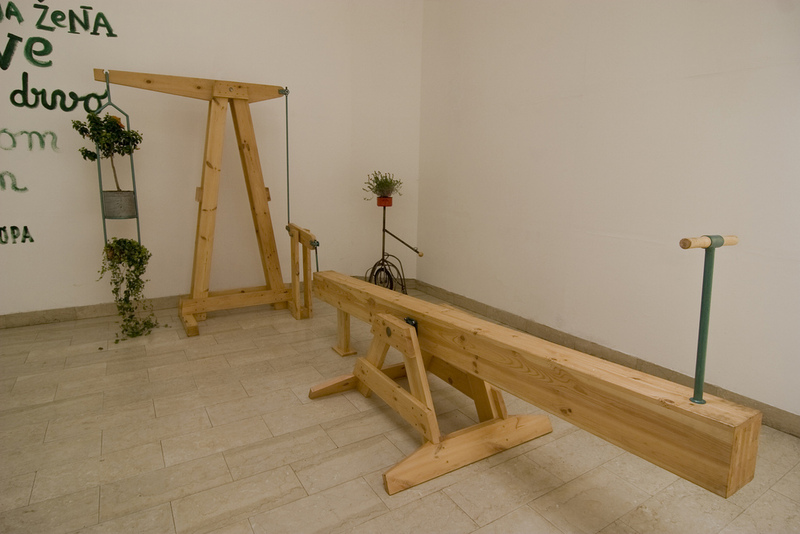 The first one, See-saw Play-Grow, chooses the see-saw to explain the concept of architecture as a meeting place (the main theme of the whole Biennale): the see-saw teaches a child to relate with the others, since it doesn’t work if you use it alone. 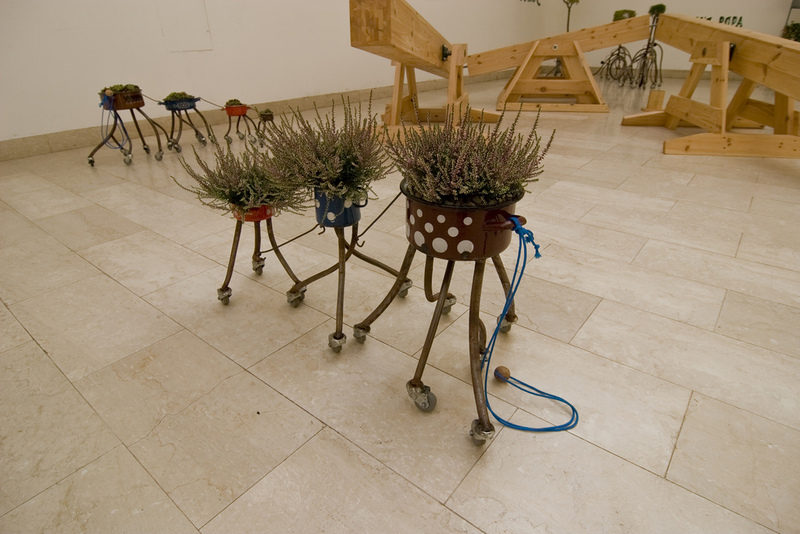 The installation consists in a series of simple objects mounted on wheels, carrying soil, plants and flowers. 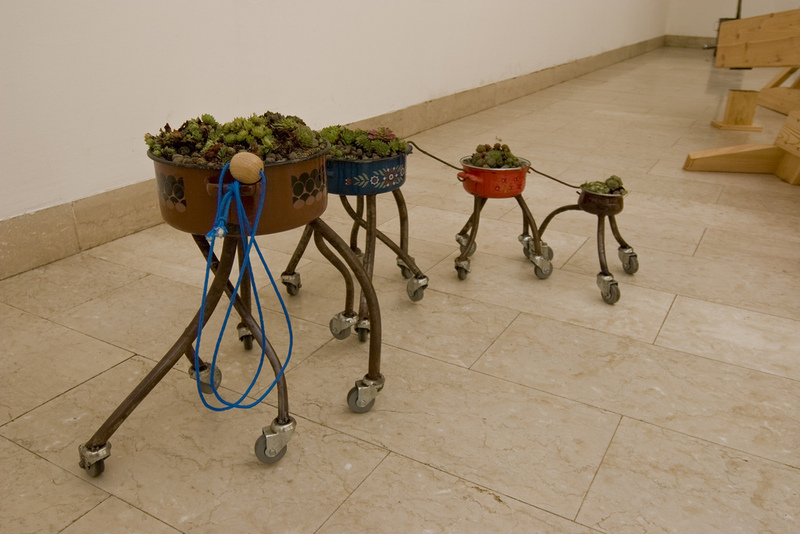 The nice mobile disposals create a sort of little garden moving in old pots, which is supposed to be carried by people, promoting a sign of friendship with nature. 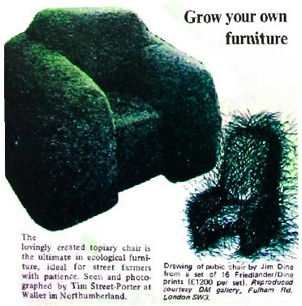 Plant-o-biles reminds us other similar projects, like Moving Forest of NL Architects or Mobile Garden of the artist Tattfoo Tan, which we already discussed here. For sure Serbia won our gold lion. 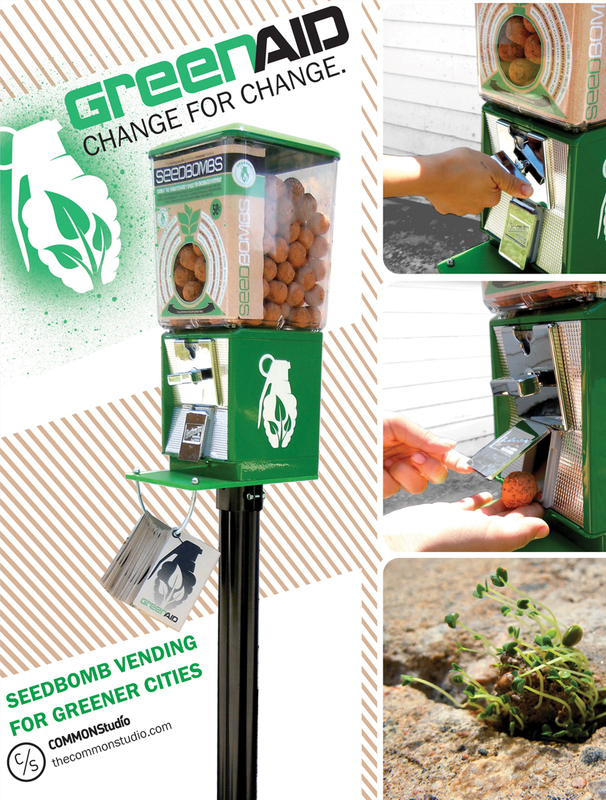 Let’s open another little retrospective to explain a project we believe could be an ancestor of the modern Seed Bomb, a common practice of Guerrilla Gardening, which we already described in this post. The project is part of a wider collection, Eco Redux, which is the name given to an archive collecting “architectural” projects and thinkings which appeared in the 60’s and 70’s, from sketches to more complex manuals, mainly trying to redefine the notions of “shelter” and “habitat”. Some of them are maybe just fashionable “anti-buildings”, as Peter Cook of Archigram thought about many projects of those years described as a “conglomeration of environmental elements”. 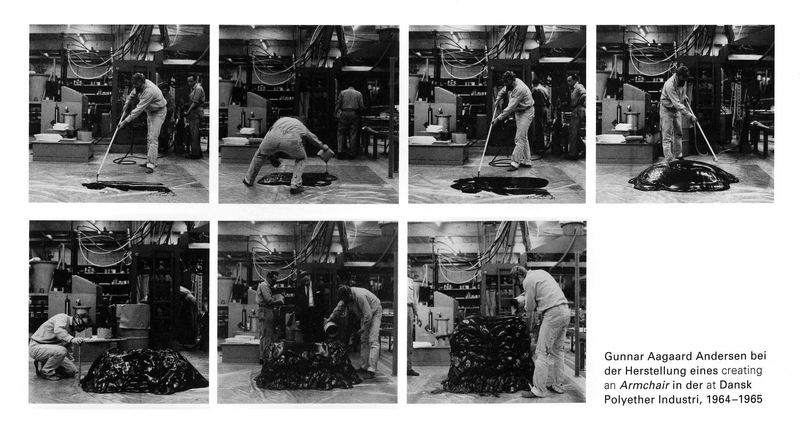 But we believe we can see an effort to propose experimental techniques that go beyond architecture and design, to reach the level of performances or installations, mainly for the radical connection between materials and time, in a dynamic use of the succesive stages of formation. But what we would expecially like to bring to your attention is a project named Artificial Burrs, from the designers James Harold and Jolan Truan. 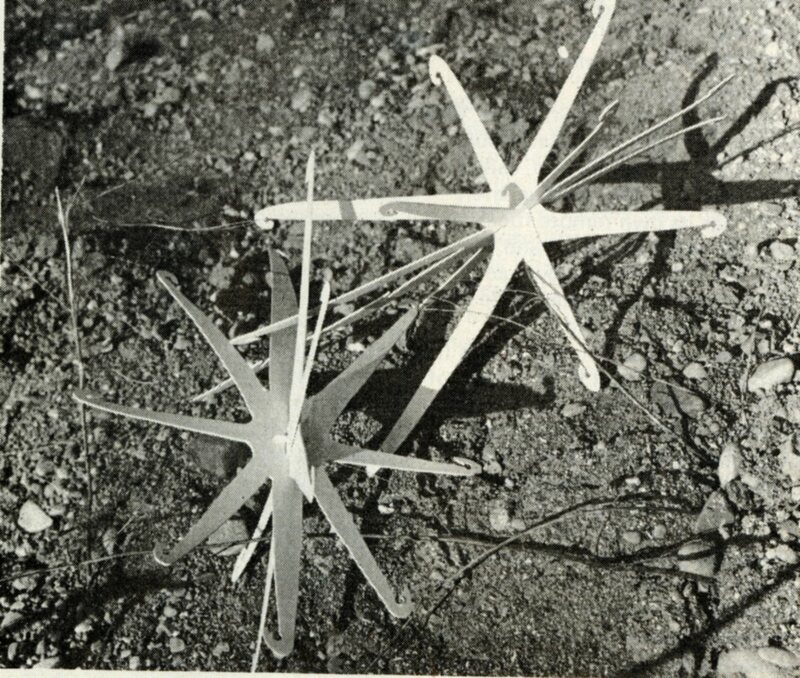 In 1968, they invented a foldable small biodegradable plastic structure imitating the “hook mechanism” of particular kinds of seeds. These objects are capable of combining in order to create a dam of vegetation through time thanks to seeds and an hydrotropic nutrient solution spread over their surface. The original goal for which this particular design was achieved was stopping the erosion cycle in arid areas through aerial distribution of the macroseeds, a practice already known since 1930. 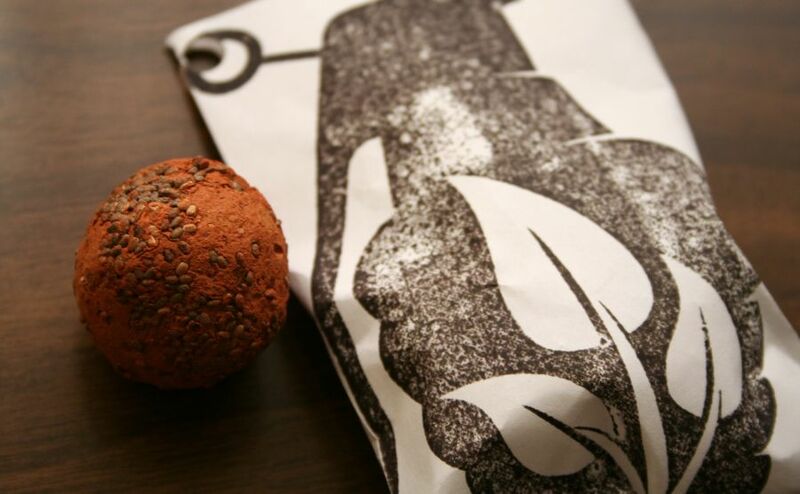 But what we suggest is considering this object as an earlier prototype of the modern Seed Bomb, which included also few intresting design characteristics like the hooks and the folding structure, that would maybe be interesting to re-propose in the current practice of Guerrilla Gardening. 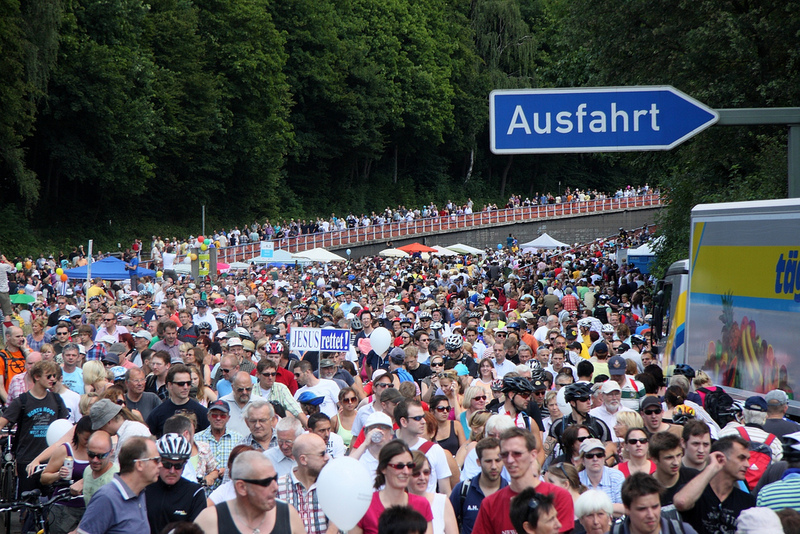 The city of Essen, this year’s nominee as the European Capital of Culture, decided to take advantage of its position to start a radical change in the Rhur, the region where it is located in Germany. Essen for the Rhur 2010 is the name of the program, which aims is to create a new metropolis in Europe, the Rhur Metropolis: no more old an abandoned industrial areas, but art and culture centres instead. Their slogan is “Change through Culture – Culture through Change!”, as to say, they want to transform the largest coal mine in Europe into a lively district through culture and art: for this aim, three hundreds projects will be realized in various cities and towns of the zone. 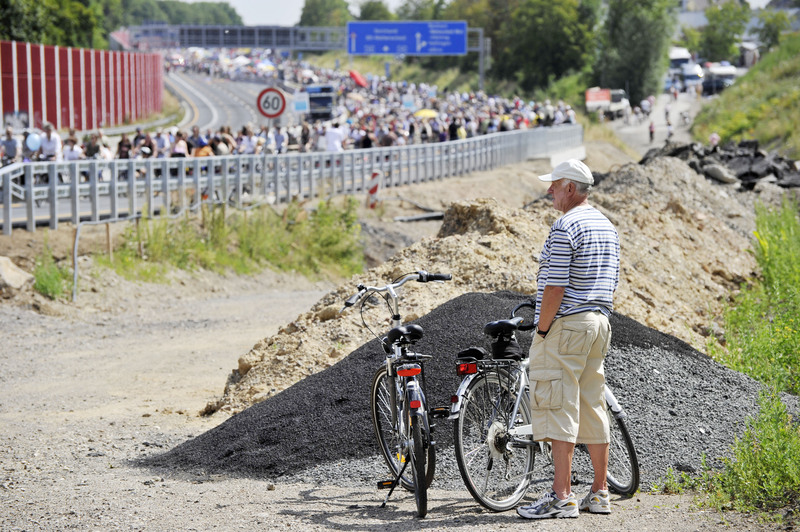 An example is Still life A40: the 18th of july a lunch event was organized on the highway 40 (the most intensively used highway in Europe), which stayed close all day long to celebrate the everyday culture of the Ruhr through music, food and performances. 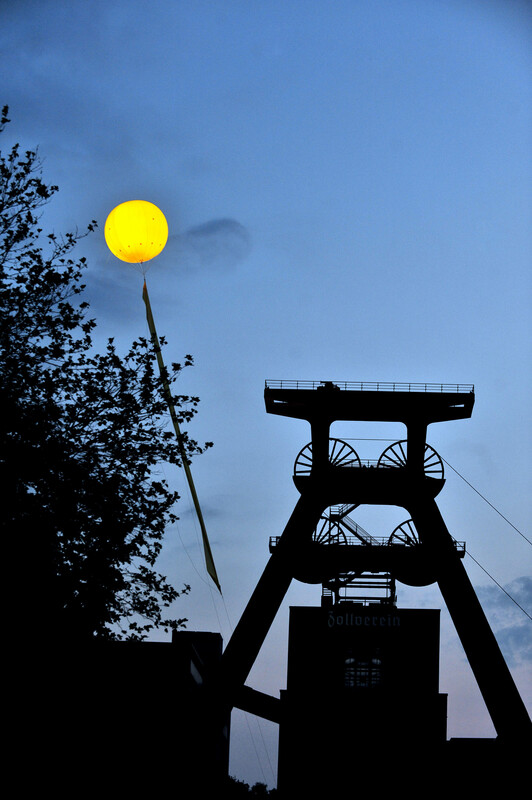 Another project is the Shaft Sign, made with balloons marking the spots of former coal-mines. 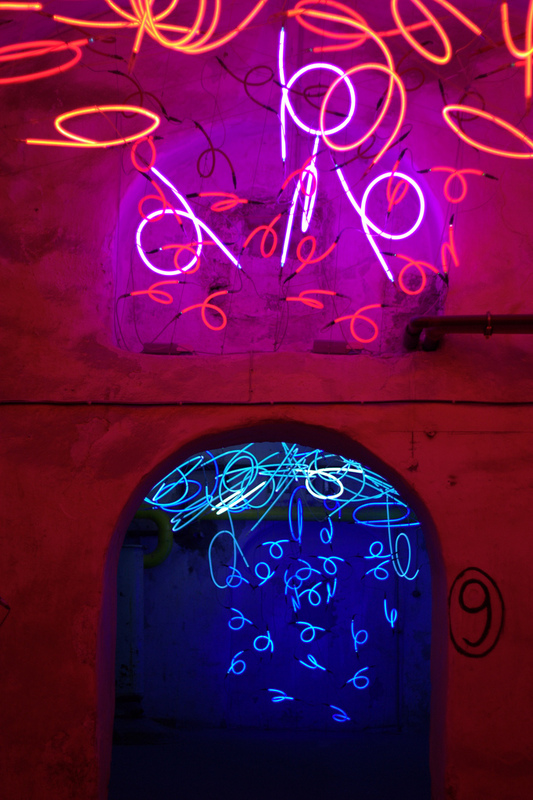 But the most interesting project is the Light Ruhr 2010: artists, architects and designers created light installations in different places of the Ruhr, in order to show in a very visible (and visual) way the ongoing change of the area. 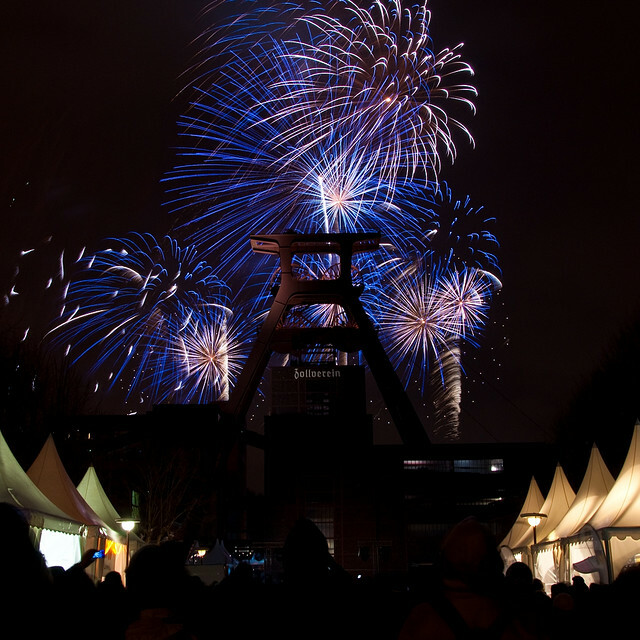 Some of the works are installed into the coal mines, transformed into rich and lively public spaces, like in the Landschaftpark in Duisburg Nord, but also in other sites with a different quality of space like the Zentrum für Internationale LichtKunst in Unna. 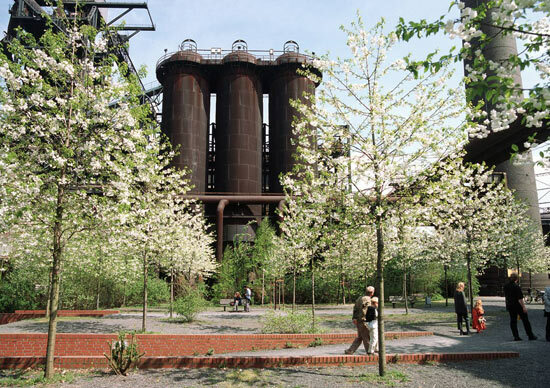 The Landschaftpark in Duisburg Nord was an old steel and coal mine abandoned in 1985, then transformed between 1991 and 1999 into a landscape park by the architects Peter Latz+Partner. The new transformations create a strange relationship between industrial archeology, art and landscape, which looks charming and fascinating to our eyes. Industrial archeology has come back to life. The Bechers would be proud. 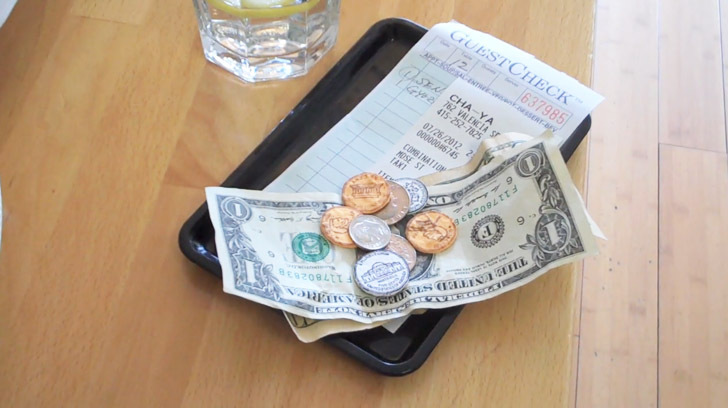 We like this kind of initiatives, but we want also give to Caesar what is Ceasar’s. So, let’s jump a little back. In 2006, during the Design Expo in Milan, the artist Ettore Favini, working since years in the relationship between man and nature, was called to participate to Green Island workshop. He came out with an installation which aim was to make green more accessible on an everyday level. He put on the platform number eight of Garibaldi train station in Milan a machine selling transparent capsules, in which he previously placed seeds of different kinds of trees and a little piece of paper where he explained how to take care of the plants. He also wrote an e-mail address, where eventually people could send the coordinates of the place where the tree was planted, in order to create a map of the growing green. 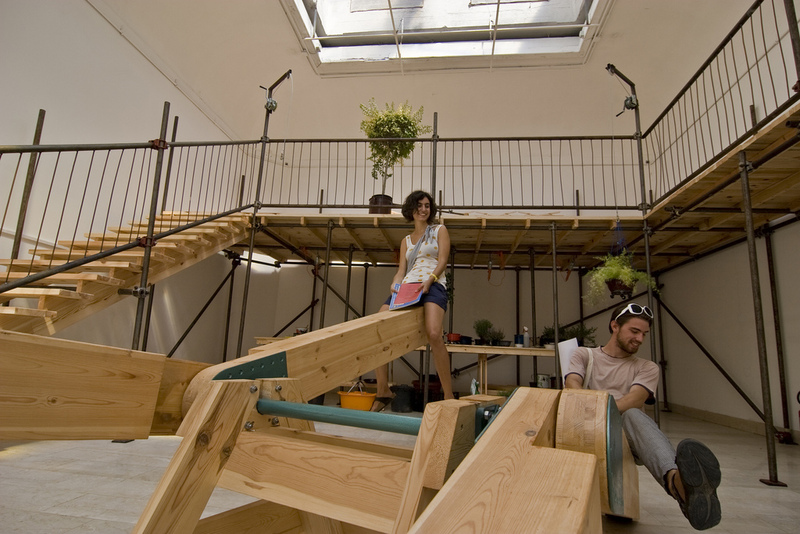 The installation tries to involve people, in a direct interaction, into a project of “reforestation”, inviting them to participate in the creation of DIY green areas. We believe that this form of interaction is a good choice for the health of our cities and, at the same time, gives the citiziens an important role as a protagonist and co-author of public space. There's a user for that!